This Family Edition acts as an accompaniment to the main Covenant & Conversation essay for Noach 5779 which you can read here. Mankind becomes wicked and this leads to God bringing a Flood and starting over. Noah is the only human God considers righteous enough to be saved. He is commanded to bring his family, and animals, into an ark. These creatures are the only survivors of the Flood. After the rain ends and the water subsides, Noah emerges and offers a sacrifice to God. God then makes a covenant, through Noah, with all of humanity, laying down the seven basic commands how to be moral, and promising never again to destroy the world by flood. Noah plants a vineyard, makes wine, and then becomes drunk. A second story is then told of a new generation of humans after the Flood who try to build a city whose tower will reach heaven. This was called the Tower of Babel. God stops them by confusing their language. The parsha ends with a list of the ten generations from Noah to Avraham. Between the story of creation and the call to Abraham in next week’s parsha, the Torah tells us four stories: Adam and Eve, Cain and Abel, Noah and the Flood, and the Tower of Babel. Are they there merely because they happened? Or is there a deeper connection between them? The first story is of how Adam and Eve eat the forbidden fruit in the Garden of Eden. Adam then blames Eve, who blames the snake. Neither takes personal responsibility. Then, Cain and Abel bring offerings to God, but only Abel’s is accepted. In anger, Cain kills his brother, and when he is asked by God where his brother is he answers: “Am I my brother’s keeper?” He denies he has any responsibility to his brother. Next, the Torah tells us about Noah and the Flood. Noah is described as a pure and righteous man, and therefore God decided to save him and his family. But Noah was not a hero. He only saved himself, not humanity. Noah did not see himself as responsible for their fate. Finally, we have the story of the Tower of Babel. Although we know it was a great sin, it isn’t clear what the sin was. By trying to build a tower that would “reach heaven,” the builders of Babel wanted to take the place of God. They denied they had a responsibility to listen and follow God. What is different between each story? What word or theme connects these four stories? What does that word mean to you in your life? There was an important job to be done and Everybody was sure that Somebody would do it. Anybody could have done it, but Nobody did it. Somebody got angry about that, because it was Everybody’s job. Everybody thought Anybody could do it, but Nobody realised that Everybody wouldn’t do it. Can you think of a concrete example of how you can use this message in your life in the coming week? Let’s look at those four stories from the beginning of the Book of Genesis in more depth. The man blames the woman, the woman blames the serpent. Both deny personal responsibility: it wasn’t me; it wasn’t my fault. This is the birth of what today is called the victim culture. The second drama, following the first murder in history, has a similar dialogue but with one important difference: Then the Lord said to Cain, “Where is your brother Abel?” “I don’t know,” he replied. “Am I my brother’s keeper?” The Lord said, “What have you done? Listen! Your brother’s blood cries out to me from the ground. The third story, that of Noah, also has responsibility at its core. Noah is a righteous man but not a hero. He is born to great expectations. “He will comfort us,” says his father Lamech, giving him his name. Yet Noah does not save humanity. He only saves himself, his family and the animals he takes with him in the ark. The Zohar contrasts him unfavourably with Moses: Moses prayed for his generation, Noah did not. We have to do what we can to save others, not just ourselves. Noah failed the test of collective responsibility. The fourth is the story of the Tower of Babel. What was the sin of its builders? The story of Babel is a drama about the two key words of the first sentence of the Torah: “In the beginning God created heaven and earth.” Heaven is the domain of God; earth is the domain of man. By attempting to build a tower that would “reach heaven,” the builders of Babel were men trying to be like gods. What does this have to do with responsibility? Not accidentally does the word responsibility suggest response-ability. The Hebrew equivalent, achrayut, comes from the word acher, meaning “an other.” Responsibility is always a response to something or someone. In Judaism, it means response to the command of God. By attempting to reach heaven, the builders of Babel were in effect saying: we are going to take the place of God. We are not going to respond to His law or respect His boundaries. We are going to create an environment where we rule, not God. Babel is the failure of ontological responsibility – the idea that something beyond us makes a call on us (ontology is the study of the nature of being). What we see in these stories is an exceptionally tightly constructed four-act drama on the theme of responsibility and moral development. The first thing we learn as a child is that our acts are under our control (personal responsibility). The next is that not everything we can do may we do (moral responsibility). The next stage is the realisation that we have a duty not just to ourselves but also to others around us (collective responsibility). Ultimately, we learn that morality is not something that humans invent, but it is part of the universe that has a Creator. There is an Authority beyond mankind (ontological responsibility). Jewish time is linear, where the future can be different, and better, than the past. Where in the Torah and in Judaism do we see this idea? What is the alternative way of looking at the world? How does this source connect to the ideas of responsibility found in this week’s Covenant & Conversation? Why is it important to take personal responsibility for your actions? 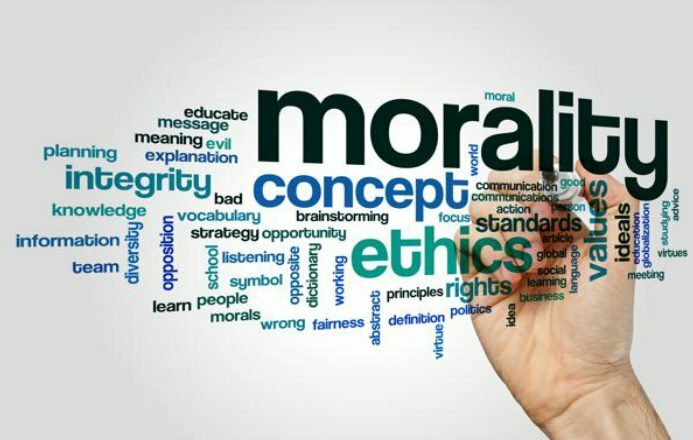 Where do you think morality comes from? If God did not give us a moral framework through the Torah, do you think humanity would be able to work it out for themselves? Noah is compared unfavourably to Abraham who did try and save those condemned (Sodom and Gomorroh) as opposed to Noah who just obeyed God’s command and saved himself and his family by building an ark. Do you think this is fair? According to Rabbi Sacks, the sin of the Tower of Babel is a denial of ontological responsibility – the denial that there is a God who makes moral demands of us. What do you think the world would look like if most people agreed with the builders of the Tower of Babel? Is that the case in our world today? Why do you think the first 11 chapters of Genesis tells us these four stories and explores these four kinds of responsibility? Each of the four stories resolves around a different kind of responsibility. Each story focuses on a different type of responsibility, that Rabbi Sacks suggests (in the main Covenant & Conversation essay) is similar to the developmental stages of a child growing into maturation. These are: (a) Personal responsibility; (b) Moral responsibility; (c) Collective responsibility; and (d) Ontological responsibility. Encourage your child/student to reflect on what they think responsibility means, where it comes from (as in when and why do they have to be responsible?) and when in their lives is it an important concept. Encourage them to formulate concrete examples from their own everyday life. This story is a humourous take on what can happen when no one takes responsibility for something that a group needs to do. We should be encouraging our children/students to be the person willing to do the task, even if they are surrounded by people who are refusing to step forward. Encourage your child/student to think of a time in the coming week when they will have the opportunity to step up and take responsibility. The Torah itself (Chumash and Tanach) is telling a story, with lots of twists in the plot. Although some argue (Rabbi Sacks among them) that uniquely the Torah does not come to closure with a conclusion or fulfillment of the narrative, it still progresses towards a conclusion. This could be living as a nation safely and comfortably in our own land worshipping our God, or it could be a messianic age of world peace, or perhaps something else. But whatever our final destination is, the Torah as a philosophical text is built around the premise that the future will be different, and better than the past. This concept exists in Jewish philosophy and theology as well. 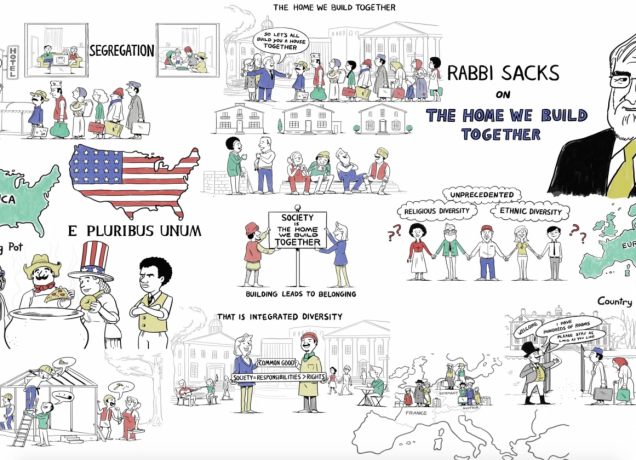 The messianic concept, and the imperative of tikkun olam (mending the world), suggest that for Jews and Judaism, things can and will be better in the future, if we work hard enough to make it that way. The concept of teshuva (repentance) means we can always make ourselves and the world better. Other systems of thought disagree with this and believe in fatalism. 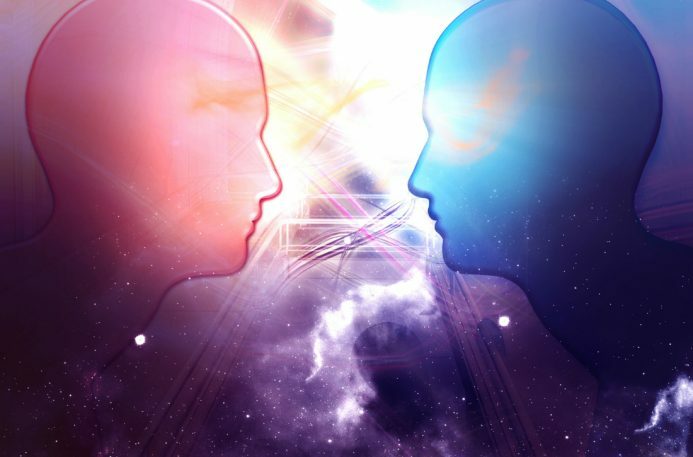 Destiny cannot be changed, and we are set to play out specific narratives predetermined, either by “the gods” (Greek mythology) or our genes (some evolutionary scientists) or our early childhood experiences (Freudian psychology). Judaism challenges this way of looking at the world. This source introduces a fifth kind of responsibility – National Responsibility. This is a central concept in the thought of Rabbi Sacks. The Jewish people have a national mission to be agents of hope and light in the world, and to help bring the world to a better redeemed state (tikkun olam). We see examples of people in all walks of life who do not take responsibility for their actions, and our children/students see this too, from politicians to celebrities, religious leaders to people we are more intimately connected to. It is not obvious that your child/student will be able to express this and may need help understanding the importance. You could perhaps use the story of Adam and Eve as a launching point for this discussion. This is a complex question with many answers and positions both within and outside of Jewish thought. The question is trying to encourage what you and the people around your Shabbat table feel in their gut – is morality innate and intuitive, or does humanity need guidance from the outside (i.e. God)? Be sure to bring the stories from Genesis (and other parts of Tanach) to illustrate and develop the discussion. Some thoughts to consider: Do we all have the responsibility for leadership or does this depend on skill set and nature? Maybe Noah just did not have the leadership ability that Abraham had? If God had wanted Noah to take on a leadership role He could have commanded it like he did with Moses (who was reluctant to take the leadership mantle and left to his own devices it seems would not have stepped up). Having said that, God did command Abraham, and yet Abraham is celebrated for his initiative and leadership. The question to consider here is how secular actually is western society? If the majority of people do not believe in ontological responsibility, does this lead to chaos and anarchy? Or do humans have an innate sense of morality and justice? Is society today, while mostly secular, still moral and just, and is that because of an innate sense of morality? Or is it because even the basis of secular western societies in Europe and America is still the Judeo-Christian tradition? The first few chapters explore and present ontology of the human – what it means to be a human. After chapter 11 the Torah then turns its attention to the Jew and the Jewish people, and the rest of the book explores what it means to be a Jew – the ontology of the Jew. So these four stories are critical in understanding the moral development of the human, and should encourage us to take on board these four stages of moral development.